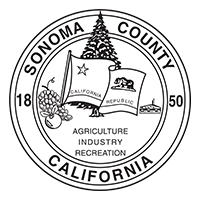 farming in Sonoma Valley that spans over 80 harvests. There must be something incredibly moving about walking through a vineyard that’s been in your family for generations. Following in the footsteps of your father’s father. The Sangiacomo family knows that feeling well. Farming isn’t just in their blood. It’s in the bloodline. It’s on their boots and under their fingernails. It’s often on their kitchen table and, increasingly, the Sangiacomo family name is showing up on the labels of some of the world’s most celebrated wines. Vineyard photography by Mike Pucci. That proud farmer in the middle is Vittorio Sangiacomo. In 1913, at the age of 17, he left a little town outside of Genoa, Italy for America. He made his way from New York to San Francisco and, by 1927 he had saved enough to buy a 52-acre fruit orchard in Sonoma Valley. He and his wife Maria raised pears, cherries, apples, prunes, three boys and one girl. The Sangiacomo family had been farming Sonoma Valley for over forty years before they planted their first wine grapes way back in 1969. In helping to re-establish Sonoma Valley as a world-class winegrowing region, they were both breaking new ground and returning to the valley’s storied roots. Back in 1973, as you can see from the photo above, California grape farming wasn’t glamorous. It wasn’t glorious. But it was a family affair. Fortunately for the Sangiacomo Family, and wine lovers everywhere, they saw the greatness and stuck with it. As they evolved from fruit orchards to grape vineyards, to their current place among California’s most celebrated winegrowers, one element of the Sangiacomo family history in Sonoma Valley has remained remarkably consistent. A closeness and commitment to family. Maybe it’s because their roots go back to the orchards that the Sangiacomo family tree keeps bearing fruit with such consistent quality. The current crop of Sangiacomo’s is striving to take their elder’s legacy even further. And if the wines with Sangiacomo on the label are any indication, they’re well on their way.